Vygis activation for Siemens CFX65 it's special software addon for VYGIS key users that works on same dongle,as Alcatel or LG softwares. Software works only with Siemens CFX-65. No other Siemens models will be supported. This it's INTERNET registrations - no shipign cost ! 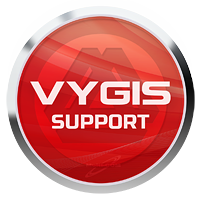 Vygis support access allows you to use leatest updates from Vygis soft. It's dedicated for all users of Vygis Box/Key that use equipmnet more than 8 years and right now got communicate licence expired.